This attractive gift set comprises a fully lined presentation box containing two silver plated desk accessories - a stapler and a pencil sharpener. 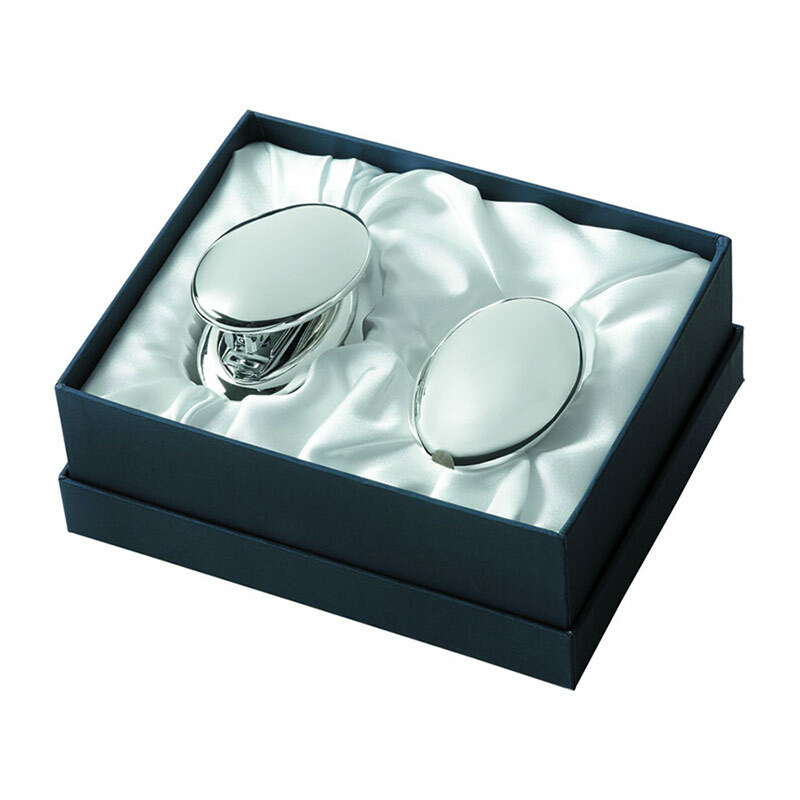 Both products feature the same spherical design and fine quality silver plated finish. The boxed sets are ideal as corporate gifts, employee incentive awards, or as branded promotional products. They are sold with bulk order discounts (see price matrix, below) and fixed price UK delivery.